Brad Pitt is not on an “Italian getaway” with Jennifer Aniston and his daughter Shiloh, despite an absurdly made-up report. Gossip Cop can correct this insanity. For starters, Aniston and Pitt are not together at all, and they’re most certainly not on a romantic trip it Italy with Shiloh, regardless of how a magazine photoshopped photos of them. A “source” is actually quoted as saying, “Brad and Jen love that they can just spend some quality time, just the three of them, in Italy, thousands of miles from LA and Angelina… They’ve mostly been staying on the grounds of George’s estate, but also doing a little bit of sightseeing.” “It’s been good for Shiloh to get out and about, have some fun with Brad, and particularly Jen, after all the recent stress,” maintains the almost assuredly make-believe source. Back on planet Earth, however, Aniston and Pitt are not even in contact. While Aniston just wrapped production on the Netflix comedy Murder Mystery in Italy, Pitt was photographed looking like a stud on Quentin Tarantino’s Once Upon A Time In Hollywood set in Los Angeles. They weren’t together nor was Shiloh inexplicably with Aniston. Oddly, the same publication that splashed this falsehood on its cover neglects to mention how last week it wrongly asserted Pitt and Aniston were going on their honeymoon to Italy. So, is Shiloh also honeymooning with them? Also not discussed is how the actress is still able to travel since New Idea swore up and down in May in yet another bogus cover story that Aniston was pregnant with Pitt’s baby. Basically, the magazine has am established history of publishing complete untruths about the exes. As Gossip Cop has repeatedly noted, just a little more than a couple of months ago, Aniston’s friend Portia di Rossi confirmed the actress and Pitt “haven’t seen each other” in ages, let alone are having a baby, getting married and going on an Italian honeymoon and openly sightseeing with Shiloh. Additionally, even though it’s already provably wrong, their reps, speaking on behalf of the stars, have gone on the record to tell us they’re not romantically involved by any stretch of the imagination. And, of course, there are no pictures to prove the tabloid’s tall tales nor has one out of the world’s nearly 8 billion people spotted Pitt and Aniston together in years, letting alone traveling his daughter Shiloh. Conclusion: The magazine claims Pitt and Aniston are on an “Italian getaway” with his daughter Shiloh. Among the many problems with the story is that Pitt has been photographed in Los Angeles on the set of his next movie, proving he’s most definitely not in Italy. Also quite significantly, Aniston and Pitt have never gotten back together, despite the tabloid’s verifiably false claims and bad photoshop on its cover. 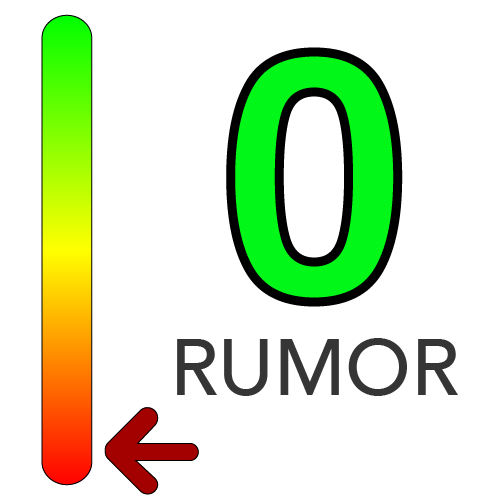 For those reasons and many other mentioned above, Gossip Cop is rating the publication’s latest report a “0” on our fact-or-fiction meter. Brad Pitt and Jennifer Aniston took his daughter Shiloh on an Italian getaway. Sandler, Adam. “Last Day Shooting. Had a Blast with This Young Lady! #MurderMystery @Netflix Pic.twitter.com/JnobNUwSxW.” Twitter, 28 Aug. 2018. Russian, Ale. “Brad Pitt Looks Like a '60s-Era Stud While Filming Quentin Tarantino's New Movie.” People, 30 Aug. 2018. Weiss, Shari. “Jennifer Aniston, Brad Pitt ‘Romantic Honeymoon’ Story Is Late And Wrong.” Gossip Cop, 30 Aug. 2018. Weiss, Shari. “Jennifer Aniston NOT ‘Pregnant And In Hiding," Despite Report.” Gossip Cop, 7 May 2018. Matthew Hiltzik and Stephen Huvane, spokespeople for Brad Pitt and Jennifer Aniston, respectively.